Erick is a partner at MMPS who manages the Foreclosure Group. Erick has represented large financial institutions, national mortgage servicers, hedge funds, private equity companies and individuals in both residential and commercial foreclosure actions. His extensive experience in uncontested foreclosure, litigated foreclosure and alternatives to foreclosure creates a distinct advantage for the lender. Over the years, Erick has participated in and overseen the foreclosure process on over 10,000 defaulted loans. Erick has been a lecturer at national servicing conferences and before the courts of the State of New York. As a part of his foreclosure practice, Erick has represented numerous buyers and sellers of defaulted loan pools in all aspects of the transaction, including due diligence and negotiation of the sale. In addition to the foreclosure process, Erick represents both private and institutional lenders in commercial lending transactions. Erick’s focus is construction lending, but he has represented the lenders in all facets of both traditional and non-traditional lending. 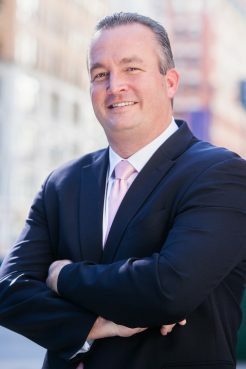 His experience in the foreclosure process provides a unique insight into commercial lending and allows him to provide a transaction that will stand up to the tough scrutiny of the courts. Prior to joining the firm, Erick worked as a partner managing the foreclosure practice group at one of New York’s most well-known firms. In this role, he managed over sixty professionals in one of New York’s largest foreclosure practice groups.